There are versatile recycling projects that you can do, depending on the materials used, so we are always trying to bring the most versatile ideas to you for your inspiration. 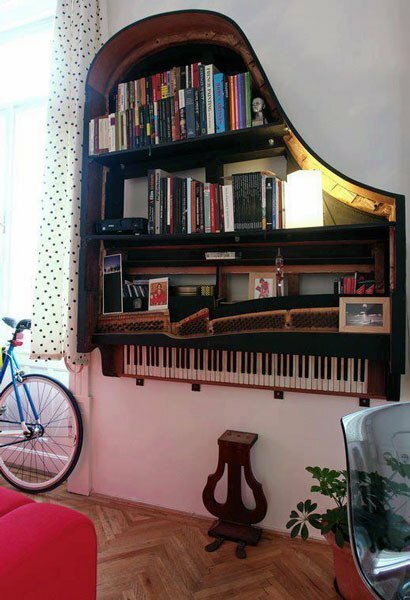 Today, we would like to show you several ideas of how you can reuse different musical instruments for decorating your home. Below, we have chosen 10 Brilliant Ways of How to Recycle Musical Instruments and they maybe your inspiration of how to reuse your old guitar, drums, piano etc. Check them out and choose which one you will try to copy. A piano can be great home decor even when it is not in use and is just sitting in the living room. Or if it is an old one, you can use it as an interesting shelf for storing books and some decorations. 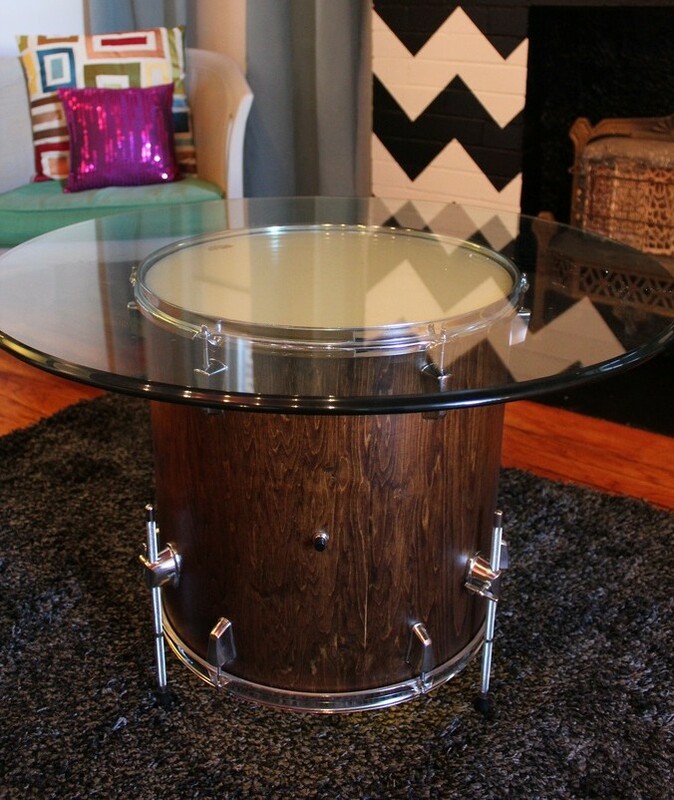 There are many ways of how to reuse drums for decorating your home and one of them can be to turn it into a coffee table. Use wood or glass for the top. 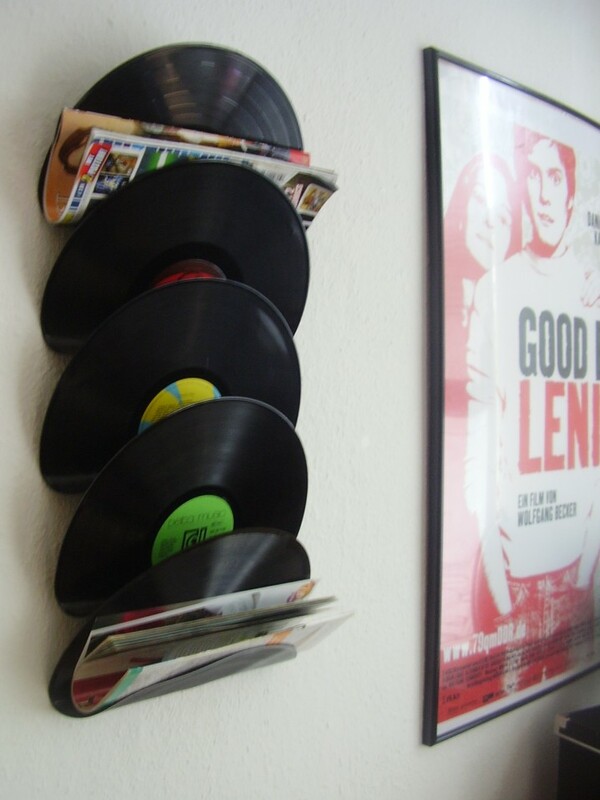 Vinyl records can be also used to decorate your home. Place them in the oven at 225 degrees and wait till they blend. Link them together and use them as magazine holders. 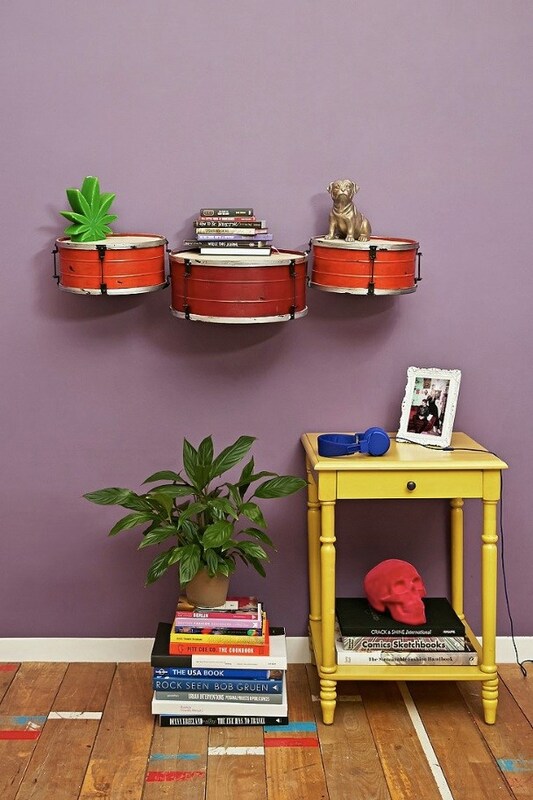 Another way to reuse old drums for home decor is to turn them into shelves. 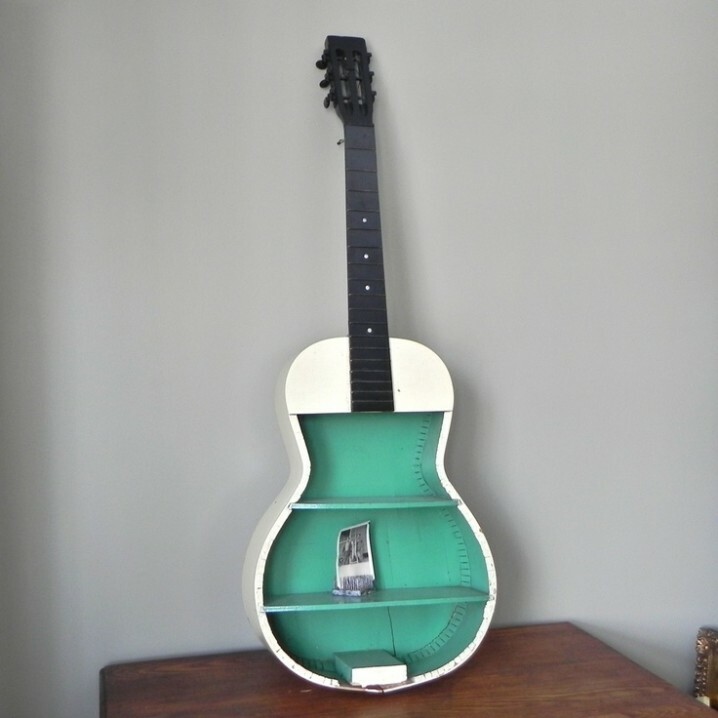 Cut an old guitar, insert a couple of dividers and you have a new shelf to decorate your lovely home. 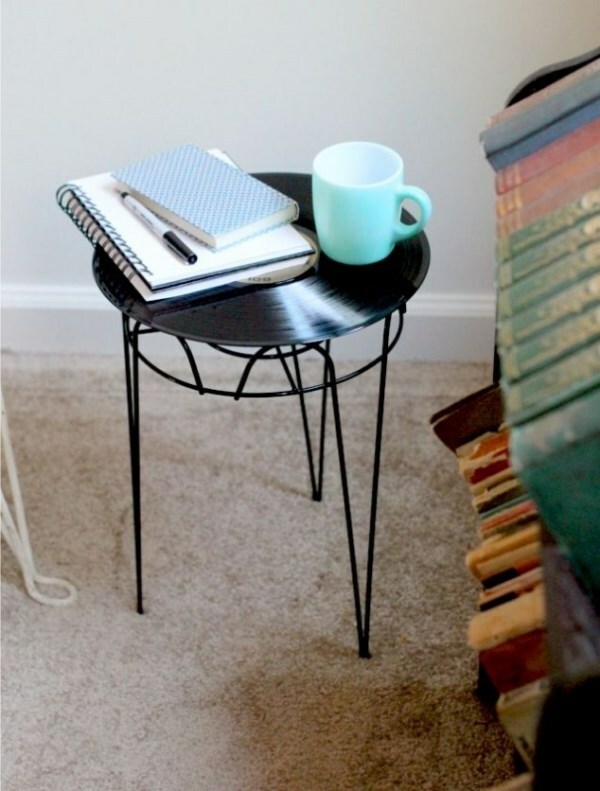 Vinyl records can be used to make a small side table. This table can be really practical, because it can be easily moved from one place to another. 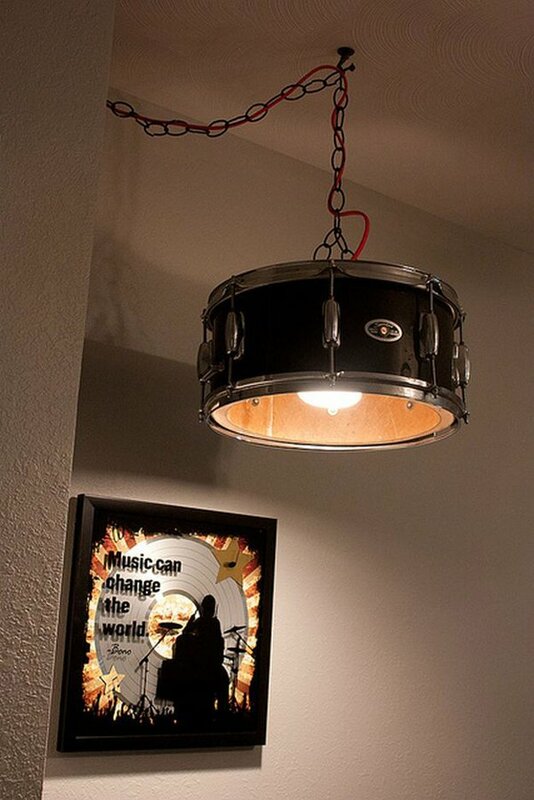 And one more way to reuse the old drums is to turn them into lamp shades. 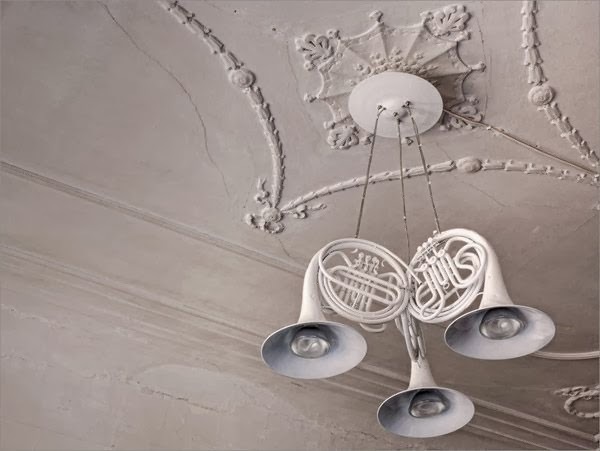 Musical instruments can be also used as part of a chandelier and this one is just one example of it. This chandelier will draw the attention for sure. 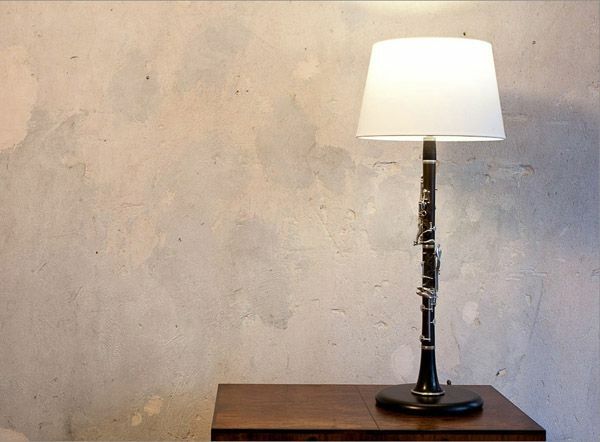 As we have said above, drums can be used as a lamp shade, and here is an example of a lamp with a pipe made of flute. 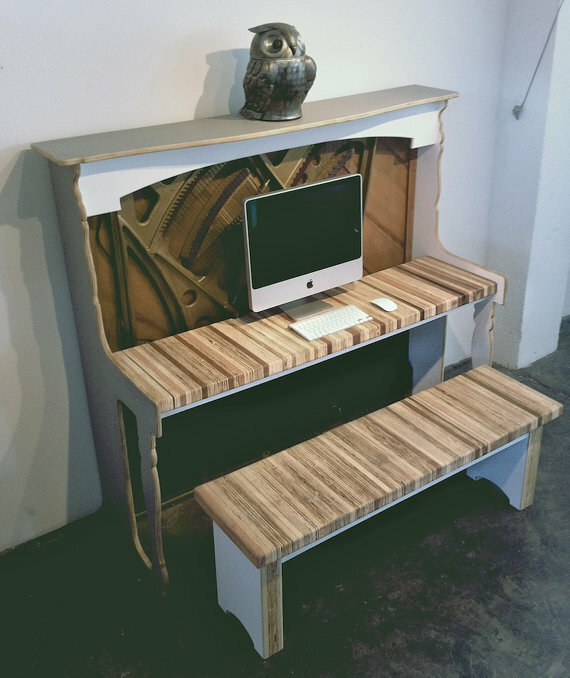 One of the parts of the piano can be used as a shelf, and the one that is left can be turned into a functional desk. So, which one from the above ideas draw the most of your attention? Tell us in the comments and also let us know if you have another idea of how to reuse old musical instruments. 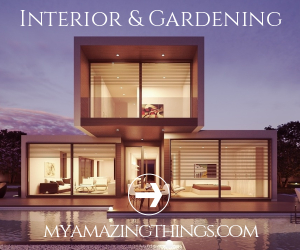 Thank you for reading and stay up to date with our content to find many other recycling projects for your inspiration.